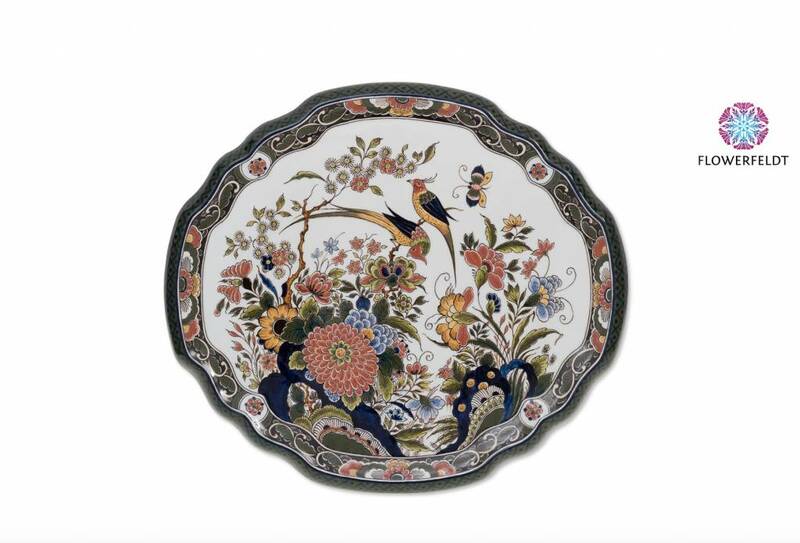 Porcelain wall plate with flowers and birds. This wall plate in ochreous and dark green is very refined. 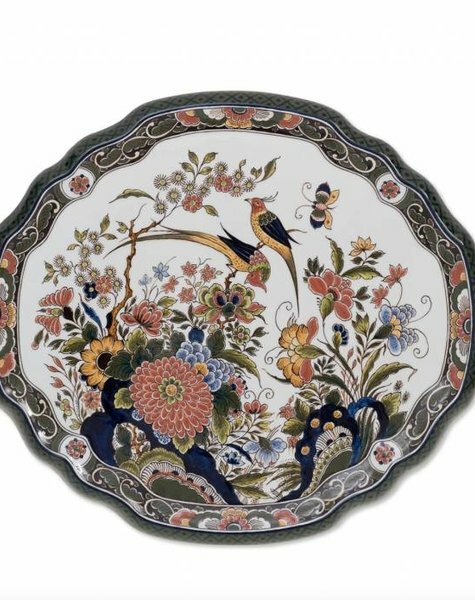 Wallplate flowers and birds is made of the best porcelain and painted by hand (by the best master painters in the world). Porcelain wall plate for the foodie!